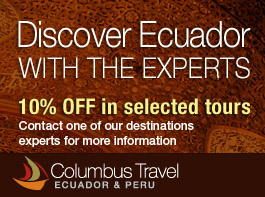 Browse through our collection of Ecuador hotels and haciendas for your Ecuador Tour. We have hotels in the city, near the Quito Airport, and of course across the beautiful landscapes of the Ecuadorian Andes as well. To make things easier for you, we've narrowed down a list for each hotel and haciendas in Ecuador affordable for any budget. Have a look and contact us when you're ready to make a decision or if you need more information! No hotels available that match your search criteria. Please try filtering the results by other categories and/or locations.